I’ve been taking a class in Leadership; it’s really a course in Coaching. I took it with the intention of becoming a more effective manager at work, but also a supportive friend and mentor (replace ego with listening and validation). As I go deeper into myself and my work style, I keep thinking about the various goals I’ve had over the years. Are they still doable or realistic? Was my inability to accomplish those goals based on fear? Were my goal too vague? Or was the problem that I didn’t know the necessary steps to take to make them work? But, you know how sometimes you keep chewing away at things? For me, it was thinking about goals, objectives and missed opportunities. And then this book fell into my path and I felt as if the author was speaking to me directly. 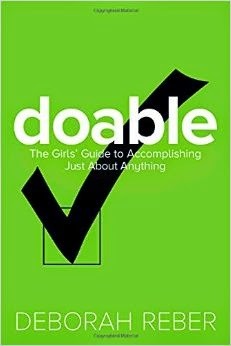 The book that changed my thinking was Doable: the girls’ guide to accomplishing just about anything by Deborah Reber. The goal of Doable is to give teen girls the tools they need to be as productive as they want to be. To turn any goal or pursuit into a doable venture. Reber is a professional writer, blogger, and life coach who works to empower teen girls. The book is set up like a workbook with each task broken up into eight “doable” steps all clearly explained. Step 1: What do you want to do? Readers will go from naming their specific goal, mapping it out, defining all the tasks involved, actually doing the work, dealing with setbacks to finally delivering the goods. Reber combines actual real-life examples with her advice using a down-to-earth chatty tone that is always supportive. I especially liked how, right in the beginning, Reber explains that some “Doers” suffer from overly vague goals. When a goal is too vague, it can’t be measured, which means there’s no way of knowing when and if you’ve actually reached it. Working toward vague goals is about as productive as running on a life-sized hamster wheel (although at least in that case you’re getting a decent workout). Peppered throughout every chapter are sidebars that clarify what’s being discussed in the text or includes actions to be done before continuing on to the next step. 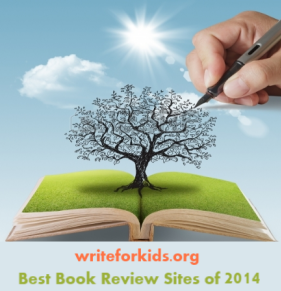 A motivational summary that condenses all the information discussed ties up each chapter. I urge librarians to make this book available to those students who seem to be a bit lost. We all know those students who possess a certain charm that draws people to them. We describe them as lucky. They seem to have so much going for them. Maybe they had supportive parents, caring teachers or other adults who taught them early on how to make their goals a reality. I see Doable: the girls’ guide to accomplishing just about anything as an excellent resource to pass on to those other girls who, though they have dreams, often lack the necessary guidance to help them see it through. I do have one very minor complaint about the book's layout. The font is grayscale, not black. Combined with the gray sidebars the font doesn't jump out, making reading the book seem more laborious. Still, the information is crucial to the very audience who might cast this book aside for its lack of visual appeal. Doable is being marketed as a guide for teen girls, but, really, it is also extremely useful for boys and adults, too. Visit Reber's website for more details about her books and work.